Opened in February 2015, akemi (あけみ) is the latest incarnation of miyuki (みゆき) on 1695 Solano Avenue in North Berkeley (Albany border) in the San Francisco Bay Area. Along with a revamped interior and exterior that includes salvaged wood and upgraded kitchen equipment, akemi features an updated menu spotlighting fresh ingredients and well-crafted flavors while retaining customer classics such as our sushi rolls. akemi is the new name we bestow upon the beauty that is good food with good people in a good place. 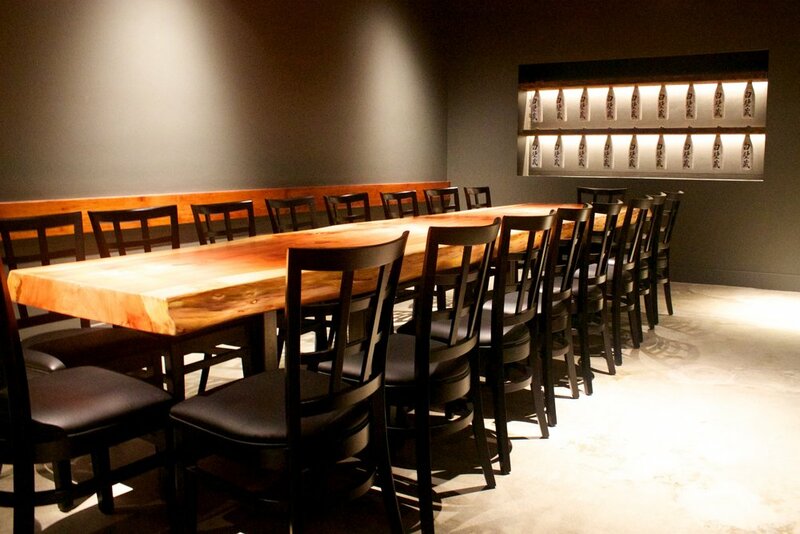 We offer a private party room that seats up to 30 people. Call us or complete the form below to make a reservation for your meeting or celebratory event. For general dining reservations, please click here or give us a call. Tell us about your event. Would you like to reserve the room for lunch or dinner? Do you have any special menu requests?